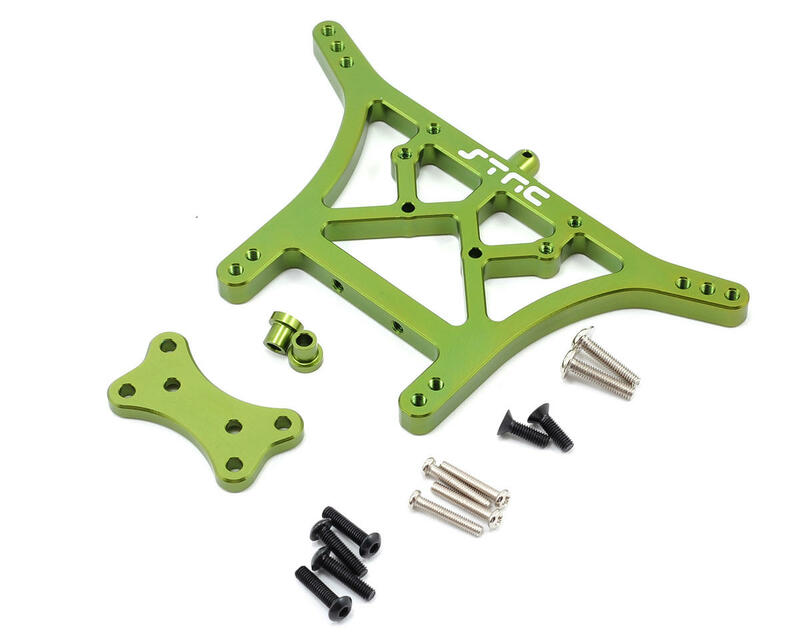 This is the ST Racing Concepts Green Aluminum 6mm Heavy Duty Rear Shock Tower. 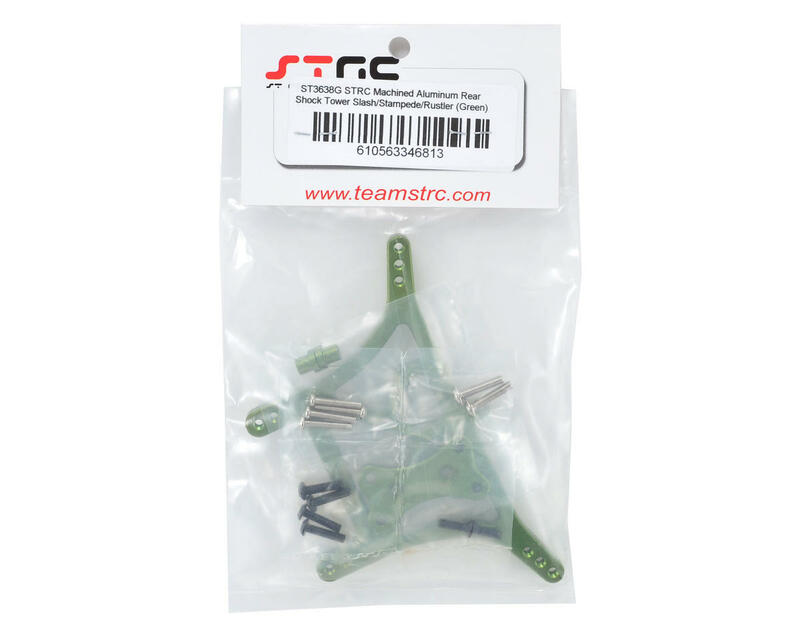 With the popularity of the "Monster Energy" paint scheme, and the release of the Traxxas Monster Jam replica Grave Digger truck with green chassis components, STRC has stepped up and are now offering their popluar CNC machined aluminum components in green to help customize any green themed rig. Using high quality CNC machined aluminum, these shock towers increase strength and enhance the looks of any Traxxas electric Stampede, Slash or Rustler. Comes with all hardware (screws) and aluminum upper shock mount bushings.